Let’s face it, Google was lagging behind in the wearable OS race. Despite a host of manufacturers using the operating system, Google hasn’t been able to nail the small screen UI. It’s rivals have pounced on this, with both Apple and Samsung making big leaps in usability of their watchOS and Tizen respectively, leaving Google struggling in third place. Back at Google I/O in May 2016 we were promised Android Wear 2.0 in Autumn. The update never materialised, but the updated OS has finally arrived on the LG Watch Style and Sport, and will be rolling out to other devices soon. 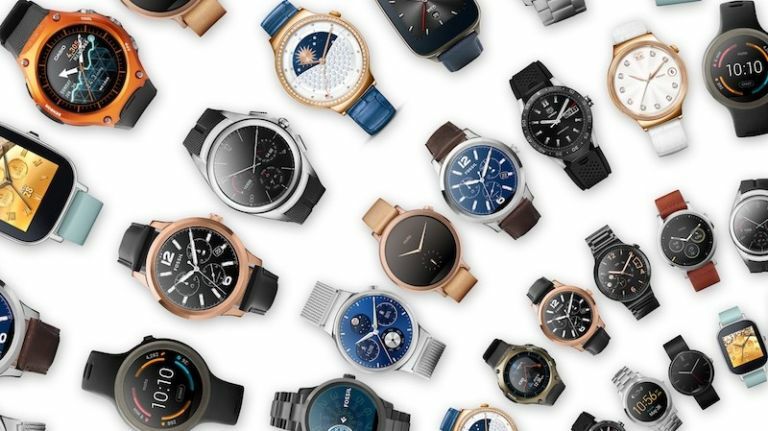 Android Wear 2.0 will come installed on the newly announced LG Watch Style and LG Watch Sport. It'll begin rolling out to devices on February 15th. Perhaps the most important addition to the operating system, apps will now be installed on the wearable, and won’t require a smartphone to open. Instead it can use Wi-Fi or mobile signal to receive notifications or use data. There’s even a Play Store which allows you to browse and download apps directly on your wrist. This is a big improved for iPhone users, as it now means you can use 3rd Party apps. Of course, if your smartphone is present (which it usually is) it’ll still make use of the Bluetooth connection, but apps on your watch don’t necessarily need to be on your phone. The way you interact with Wear has changed as well, hopefully for the better (initial feedback hasn’t been that positive). There’s a redesigned app launcher which looks better on circular screens (we’re not sure how it’ll look on older square devices), this is revealed with a press of a button. Now swiping from right to left will reveal different watch faces, which doesn’t seem terribly necessary. They’ve also updated the quick settings panel. It’s now accessed from the bottom of the screen, and will provide you with shortcuts to settings such as brightness and volume. We’ll reserve judgement until we’ve used it, but Google has a lot of catching up to do in this area, and this redesign looks like a big improvement. One of the most useful functions on the Apple Watch has made its way over to Android Wear - watch face complications. You’ll be able to customise different watch faces which complications which you find useful. There will be system information such as battery life, and Google Fit data, as well as third party data from apps like Spotify and Strava. Android Wear now supports rotational inputs, that could take the form of a bezel (a la Samsung Gear S3) or Crown (a la Apple Watch). This should make navigating the UI a bit easier, and stop the huge amounts of swiping previous AW devices required. Notifications are now more discreet (no more taking up the lower third of your watch face), and you’ll have the ability to reply directly to the notification. Android Wear will now let you reply to messages using inputs other than your voice. There are ‘smart replies’ to choose from, handwriting recognition, and a mini QWERTY keyboard. Obviously these input methods aren’t ideal on a small screen, but it’s nice to have the option, especially if you’re on a crowded train. You can now pay for things with Android Pay on Android Wear watches. Google Assistant will make its way over to all Android Wear watches running Wear 2.0. You'll be able to interact with apps, ask conversational questions, and control smart home devices from your wrist, with your voice. The original LG G Watch, original Moto 360 will not be getting the update, it’s unclear whether the Sony Smartwatch 3 will get it. Every other Android Wear smartwatch should be getting the update. That includes the 2nd gen Moto 360, Huawei Watch, TAG Heuer Connected, Nixon Mission, and others.